There are only 10 schools in Kawaza, which cannot adequately accommodate all children. There are not enough qualified teachers, and the teacher-student ratio is 1:58. Educators also lack teaching and learning materials. Most schools have not been upgraded since they were built 30-40 years ago. Due to this environment, academic performance is low. About 75% of students in Grades 3 through 7 are unable to read or write comprehensively. Math skills are also poor. Parent-teacher associations are not well trained and do not advocate for improved school standards or lead community initiatives to improve the quality of education. 34% of school-age children do not attend school. Many children drop out because of traditional practices that dictate early marriage for girls and cattle herding for boys. Orphans and children from households headed by children or impacted by HIV and AIDS are at the greatest risk of dropping out. Boys as young as seven years old are recruited to herd cattle for periods of three to four years, after which they are paid with a bull or cow. Parents value this practice as a way for the family to acquire livestock. When boys finish their cattle-herding tenure, they are usually reluctant to start school because they are much older than the other students. Even more girls drop of school out than boys, due to early marriages and the long distances they must walk to school. There is only one health centre in Kawaza, and it lacks adequate staff or medicines to serve the population. Some community members have to walk or be carried up to 10 km to the centre for treatment when they are sick. 6% of children die before reaching the age of five, usually from malaria, diarrhea, respiratory tract infections, or malnutrition. Orphans and children from vulnerable households are especially susceptible because they cannot afford mosquito nets or nutritious food. The majority of families in Kawaza are engaged in agriculture and raising livestock. Many use traditional labour intensive farming methods that limit food production. Most farmers cultivate only maize for food and income, and crop yields are poor. Others raise cattle, but livestock production is also low. Families often run out of food supplies between harvests, leaving children vulnerable to hunger and malnutrition. 14% of community members in Kawaza are HIV positive. HIV and AIDS have deepened poverty, leaving elderly grandparents and children to care for orphans and chronically ill adults. The Kawaza community is not well prepared to handle disasters. Drought often causes poor harvests, starving families, and heavy rains result in floods that spread waterborne diseases and destroy crops. The community lacks the methods and the means to improve their leadership and organization. 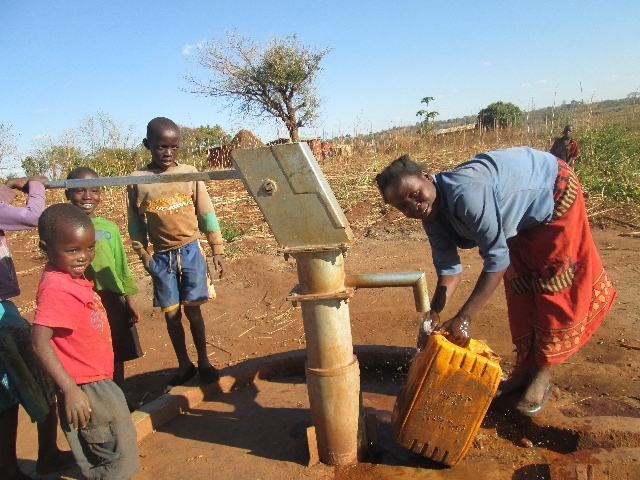 There are not enough clean water sources in the area, which means that many families have no choice but to collect drinking water from steams and unprotected wells. These sources are often and easily contaminated. Common hygiene and sanitation habits are inadequate to prevent the spread of waterborne diseases, which run rampant, impacting children the most. Low incomes prevent famers from buying better tools and improved seeds that would increase their food production or stabilize their economic situations. Most community members lack the skills and capital to establish other, more successful income-generating projects. The Kawaza community is located in eastern Zambia, about 55 km from the Mozambique border. Even though it is a rural area, it is the most densely populated district in the province, with almost 59 people per square kilometre. Farming is the main economic activity, however 90% of families are poor subsistence farmers. Families keep livestock and grow crops for food and income, but farm production is low because of infertile soils and irregular rainfall. The cool, dry season runs from April to mid-August, while the hot, dry season lasts from August to October. During this latter period the temperatures are usually high, reaching 35℃;. The wet season runs from mid-October through March. Annual rainfall ranges from 700 to 900 mm, but the rainfall pattern is irregular, resulting in disasters like drought and floods. Construct, repair, and equip schools and classrooms. Educate parents and community members on the importance of education, especially for girls. Establish reading groups and academic competitions for students. Mobilize efforts to discontinue traditional practices that keep children from school, like cattle herding and early marriage. 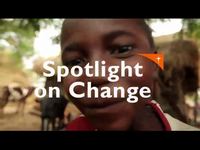 Establish and train children's school committees to give children a voice in issues that affect them. Educate families on nutrition, prenatal care, and disease prevention and management. Support immunization and child growth monitoring initiatives. Train farmers in crop diversification, as well as improved farming and crop storage techniques. Organize training in livestock production and management. Provide livestock on a pass-it-on basis. Educate community members of all ages on preventing the spread of HIV, including prevention of mother-to-child transmission. Train caregivers for orphans and people living with AIDS. 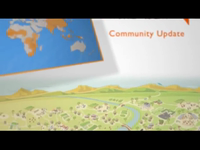 Assist community members and leaders in developing disaster preparedness plans. 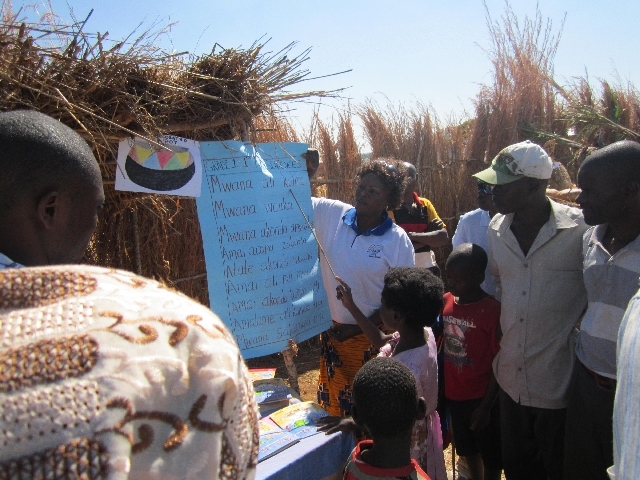 Educate families on improved sanitation and hygiene behaviours and practices. Construct and maintain safe, clean water sources. Support community groups to start income-generating activities. Provide small business and microfinance training.